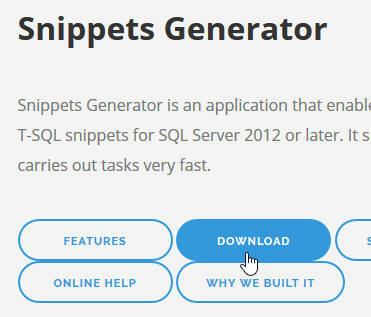 Having seen how useful snippets can be, how do you go about creating them? At the time of writing, this is the link that you can click on to download the software. Presumably it doesn't make much difference which download server you choose. The rest of the installation is pretty standard. 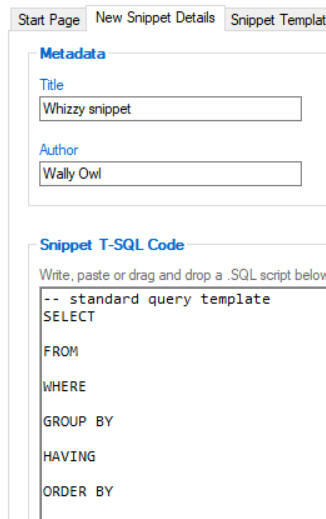 Click on the New Snippet Details tab as shown here. The most important choice is the snippet type: do you want it to be a standard one, or to surround text that you have selected? This snippet is just the bare bones of a SELECT statement. 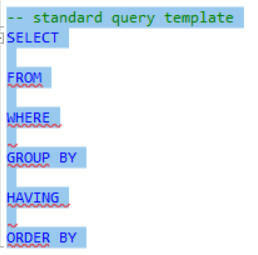 You won't see any formatting for your SQL in this view, but obviously it will come up when your paste your snippet into Management Studio. 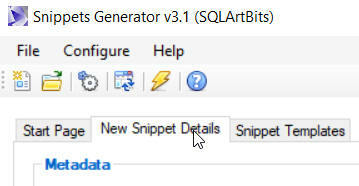 Click on this button at the bottom right corner of your dialog box to save this snippet. Here I've put this snippet in the same folder as all of the others, for reasons that will become apparent soon. For this type of snippet you can put anything you like before and after the $selected$ $end$ text; just be careful not to edit or delete the text itself. 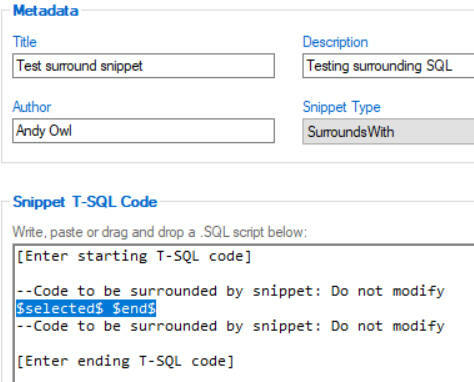 By putting this Wise Owl snippety things folder at the root level of your hard disk, SQL Server Management Studio won't create a folder path for it when adding a snippet. 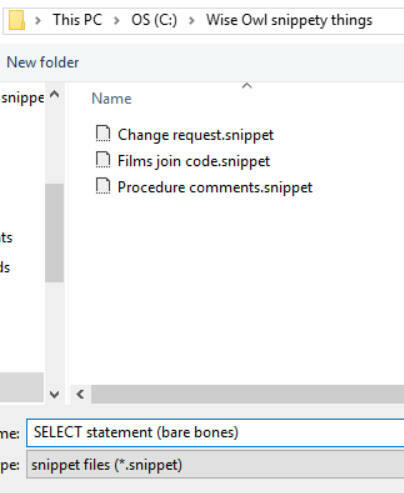 The next and final step of this blog shows how to import your snippets into Management Studio.